health insurance | Midwives, Doulas, Home Birth, OH MY! This is the continuation of my attempt at reimbursement for my legal home birth with a Certified Professional Midwife. When we last left the story, I had spoken with James, who told me that he would call as soon there was something to call about. This was on January 17. 1/18/12 ~ I receive notice from my midwife that she has received yet another request for information (that has already been submitted several times). I call Cigna and speak with Jennifer, who tells me that because my midwife is an out-of-network provider, Cigna wants to gather her information to place in my file for future reference. She says she can see they have all that, so my midwife can ignore it. She also tells me that once that information goes into the system, my claim should be approved. 1/19/12 ~ At 7:39am, I receive a call from James. He tells me that my claim has been processed and approved! He says a check will be coming within 7-10 business days and gives me a dollar amount of $1617.03. I am super excited and ask him to repeat that just to be sure. He does and we hang up. ~ Later that day, I call Cigna back to verify what I was told by James. I speak with Karen, who assures me that yes, my claim has been approved and processed. Money will come within 7 -10 business days. 1/25/12 ~ My midwife receives a fax asking her to accept $1500 as a fee instead of her invoiced $2500. I am confused as to why she’s getting this when the claim is processed, so I ask her to wait while I call Cigna. I speak with Lisa, who tells me that NO, my claim has not been finalized or released, but that it should have been. She is making a note, sending it to “escalation”, gives me a reference #5459 and says that the check will be out within twenty-four hours. I will receive a check by February 16. ANGRY and I will be filing complaints with both the Better Business Bureau and the MO Attorney General. I also request again to speak with a supervisor, finally getting to a voicemail. I did apologize before I hung up and acknowledged that she was simply doing her job, although I also stated that I thought it was her job to keep me from my money. ~ After hanging up with Mary Ann, I immediately go to the Missouri Attorney General’s website, where I am (not) shocked to see eight other complaints filed against Cigna. I file my own complaint, being clear that my issue is not that I don’t have money, but that three separate agents told me I was receiving money and then I was told something completely different. I also say that part of my complaint is that every single time I’ve called I’ve been told something different (except for the three times I was told a check was coming!). 1/31/12 ~ Speak with Betty, ask to be transferred to supervisor (since it has been two days with no return on previous voicemail). I am transferred to Matt, who tells me that what has happened is standard procedure. All claims for out-of-network providers must go through negotiations, but will show in the system as “processed” if the agent isn’t paying close attention. He also tells me that there are two claims still in the system, and I almost lose my cool again. He says that the claim will get paid, it’s only a matter of waiting for the negotiations to end. I am sure to let him know about my complaints, again stressing that my complaint is NOT because I don’t have the money yet, but about the manner the company has gone about it. He says he understands and that he will be watching this to make sure it goes through correctly. I will have the resolution in 15 days. 2/7/12 ~ Speak with Dina, who tells me the claim is still in negotiations. 2/9/12 ~ Receive a call from Cathy, who tells me that the claim has been processed, check # and amount ($1617.03). Is this really happening? Is it over?!! About a week later, we opened the mailbox….and there it was! Finally!! So, my advice to anyone attempting reimbursement is to ask every possible question you can think of (and then some) beforehand. *What information will they need? NPI, Tax ID, Social, Address, Codes, etc.? *Does your insurance carrier do a “global fee”, meaning they pay for the entire package of services after rendering, or do they want per visit? *How long do you have to file for reimbursement? Is this dependent on the type of bill it is? For example, our “timely filing” clause was 180 days, but that was for the global bill. If we had been filing a different type of claim, it would have been different. *Keep records of EVERYTHING. Write EVERYTHING down. Make a folder designated specifically for this, so you have it all in one place. *Be persistent and firm. Call every day or every other day, if you have to. *If you don’t understand something, ask. If you do understand, ask anyway. Verify everything you are told. *Do not hesitate to ask for supervisors. 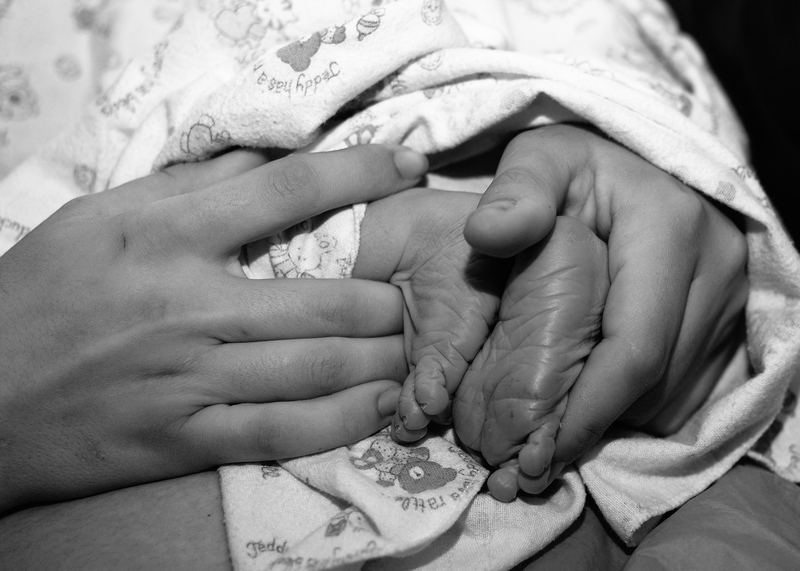 In April 2011, I welcomed a baby into my arms, at home, with the help of a Certified Professional Midwife (well, to be precise, there were two CPMs plus my friend/photographer, aunt, cousin and a mixture of other children). I had insurance at the time, which I was told would cover midwife services. Since she is a legal provider, it seemed like a fun idea to try to get her fees reimbursed. Yeah, I was totally naive and thought it would be simple. We began with her attempting to bill them. I’m not going to detail her efforts, as they are hers and not mine. I do know that after months of back-and-forth with Cigna, we were both incredibly frustrated. It seemed like the best course of action was to pursue a different avenue….she would give me the invoice for her entire fee and I would attempt to get reimbursed (I paid her fees up front). *Maternity Care Global Bill was denied because of missing procedure codes, each visit needed a procedure code. This resulted in an interesting conversation about codes, who has access to them and so on. When I prodded about what type of code was needed, she assured me that all providers know what codes to use. When I prodded about how they knew that, she informed me that every provider is given a book with codes when they get a license. When I asked about providers who don’t get licenses, she balked and said there really was no reason for me to be concerned with codes, to know where they come from or to have anything to do with them. *Initial visit on 9/22/10 not covered due to non-coverage at the time. I let her know I’ll check the validity of that and call back. Turned out that my enrollment, which we were told by both employer and insurance company would start from the day of marriage, did not start until 9/28/10. *Discover $200 bill, denied on several occasions and filed by midwife originally, is still floating around. Ask for that to be ignored, denied again or whatever. *Claim denied because of timely filing. I informed him that I was calling in reference to the corrected claim, which had a proper date on it and could not have been denied on that basis. He said they were going off the original claim (with the wrong date). *My midwife received a notice about her (we thought) denied $200 bill. This was the bill that I had asked to be taken out of circulation (even though it shouldn’t have been anyway, since it had been denied several times) twice now! In addition, the implication of the notice she received was that if she were to sign it and “accept” a reduced rate of $130, that would be all the payment made for the pregnancy! She informs me that somehow this bill was opened back up in November, something that NO ONE ELSE has mentioned. I ask her to close that out, again. *She tells me that the corrected claim will be denied because it wasn’t filed in time. I try to explain the dating issues, but I get exasperated and finally just say “thanks” before hanging up. *Corrected claim was closed at my request. WHAT?!?!?! *Turns out the confirmation #6463 was for the $200 bill being sent back (on 11/19/11), instead of the $2500 corrected claim being sent back. This entire time I have been running around in a circle over a bill I thought was gone! *My midwife also received another request, this time for her SSN, which is on the corrected claim. Joyce tells me to ignore this, it is from the $200 bill that was supposed to be closed. *She verifies that “they” (the jerks who are doing everything to keep me from my money) are working on the corrected claim. *She tells me that the corrected claim has been sent to James for follow-up information on 1/11/12. She asks if he’s called me yet and I say no, but I just called two days ago and no one informed me of that status. She says he’ll call me and I ask when, to which she replies “today”. ARGH! *James calls and says he got the message that I had some follow-up information for him. WTF? I tell him that Pat told me my corrected claim had been sent to him to call me for that very reason. He laughs and says that she misread the notes, my corrected claim is still in processing. He reminds me that he said he would call if he needed something and I chuckle while letting him know that my new tactic is to call every other day to check. He laughs and says that sounds like a good idea. Stay tuned for the (hopefully) happy ending of this drama….